This information has been adapted from the History and Geography section of the What Your Year 5 Child Needs to Know resource book. To learn more about using Core Knowledge UK resource books, please visit the dedicated pages for teachers, parents, grandparents and home educators. 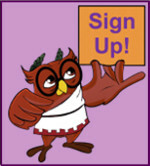 To purchase What Your Year 5 Child Needs to Know, visit our shop. Also, sign up for the free Core Knowledge UK newsletter to receive updates about new resources and activities. Look at the map on the right. This map shows half the earth, as it might look from a spaceship in orbit. 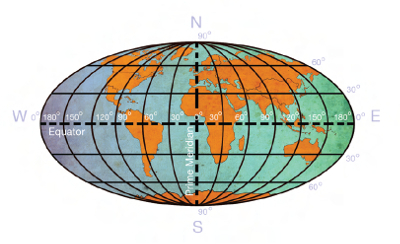 The imaginary line that divides the globe around the middle is called the equator. But what those other lines parallel to the equator? And what about the lines that run north and south on the map? What are they for? Mapmakers draw imaginary lines and divide the world into sections in order to locate places accurately. 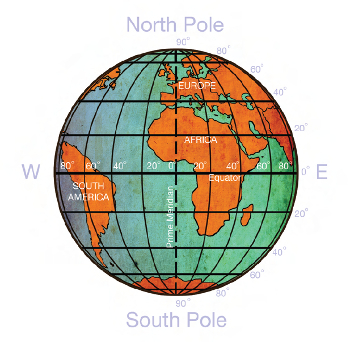 The lines running parallel to the equator are called parallels; they measure degrees of latitude north and south of the equator. The lines that run from pole to pole are meridians; they measure degrees of longitude east and west of the prime meridian. You can remember the difference between meridians and parallels by remembering that parallels are parallel and meridians meet at the poles. Can you see how the parallels and meridians intersect? Each point of intersection is a coordinate. Looking at the map, you can also see that each parallel and each meridian has its own number. How does the second map differ from the one above? The first map looks almost like a picture of a globe. But this one looks more like a globe cut open along a north-to-south seam through the Pacific Ocean and stretched flat. Stretching a map to fit a flat page is called a projection. Mapmakers do this to show the whole world on one map. Which countries does the Prime Meridian line cross through? Which countries are located on the line of the Equator? This activity is adapted from pages 72 - 73 of What Your Year 5 Child Needs to Know, which can be purchased here. 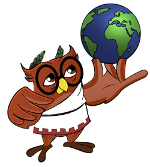 Click below to see the related activities (repeated owls show multiple related activities in that subject).